The WBF is soon to begin in the windy city of Chicago on August 13, A festival that celebrates both the Domestic & International Love of the Game of Basketball. The event focuses it's celebration on purity, pride and passion, it's headlined by national teams and superstars alike. To commemorate this year’s festival, and the sport in question, Nike Sportswear has put together an eye-popping new shoe. 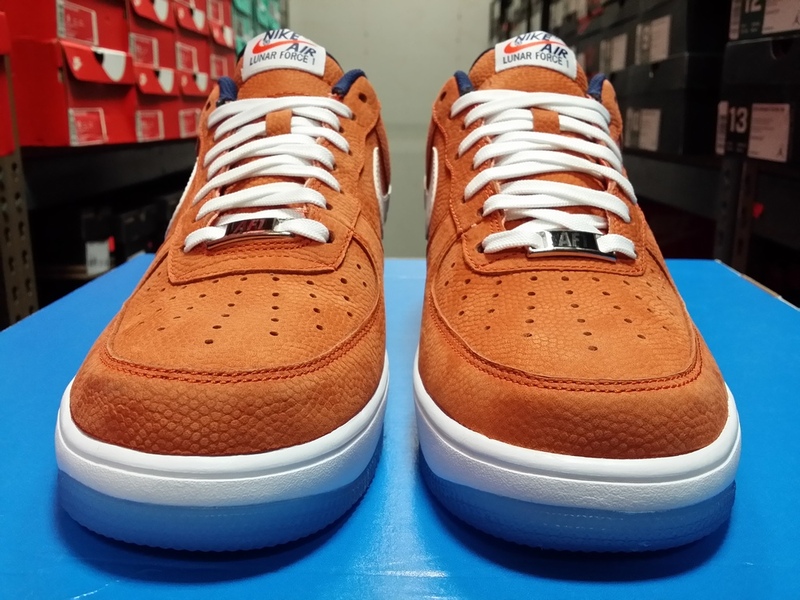 The iconic Air Force 1 is updated with a full-length Lunarized sole unit; the sleeker, simpler iteration that’s graced LF1′s lately. That’s sandwiched between an icy outsole and an absolutely perfect, on-theme upper that boasts a pebbled brown leather construction. Don't forget to check PRIVATE'S pictures for a closer look. Nike Air Griffey Max 1 "Photo Blue"